Christmas is Near… Treat Your Loved Ones to the Fishing Experience and Gift of a Lifetime!!! Yes, just blink your eye and Christmas will be here…and what better gift to give your loved one than a fishing trip of a lifetime to Mexico! In just 3 months the kids will be out of school for Spring Break! In approximately 5 1/2 months, they’ll be out of school for summer vacation. If you’re looking for that “special gift” to give for Christmas, I think I can help you decide. For those wanting to take a spouse, son, daughter or grandchild fishing with us to Picachos or El Salto in March (Spring Break) or May/June (start of summer vacation), we will offer you a 2 for 1 price. YES, that is 50% off the regular-priced package. Two go for the price of ONE! Since we are 100% full at Comedero in March, we will not be able to offer a special price there for March/Spring Break BUT…we will offer you the same 2 for 1 special for May/June at Comedero! Again, this is for immediate family only…spouse, kids, grandkids and great grandkids. I have been blessed in this life. 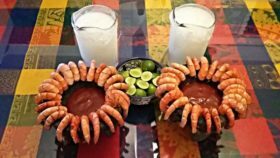 My father treated my brother and me to our first Mexico bass fishing experience in 1974 with a trip to Lake Guerrero, Mexico. Up until that incredible experience, the most bass I had ever caught was around 15 on Toledo Bend Reservoir in 1970, right after it first opened. After the first 30 minutes of fishing Lake Guerrero at 10 years old, I thought I had died and gone to Heaven. 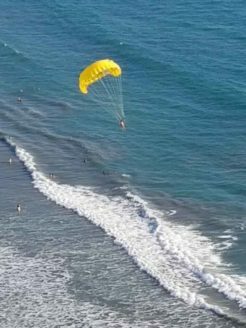 It was like nothing I had ever experienced before, and it has remained in my mind as part of my many highlights in life. More importantly, if I wasn’t hooked on fishing before that trip, I was from that time on! Also, prior to that first Mexico fishing trip, my fishing skills were not of the best since I was only 10 years old and had only been bass fishing on Toledo Bend and Cedar Creek Lake (and many stock ponds) a handful of times. After that trip, my skill level had gone from below novice to better than novice. On that trip, while fishing A LOT with Lucky 13 topwater lures, I learned to fish plastics and jigs for the first time in my young life. This happens through trial and error, and a young one learns faster if there are more “trial and error” opportunities. 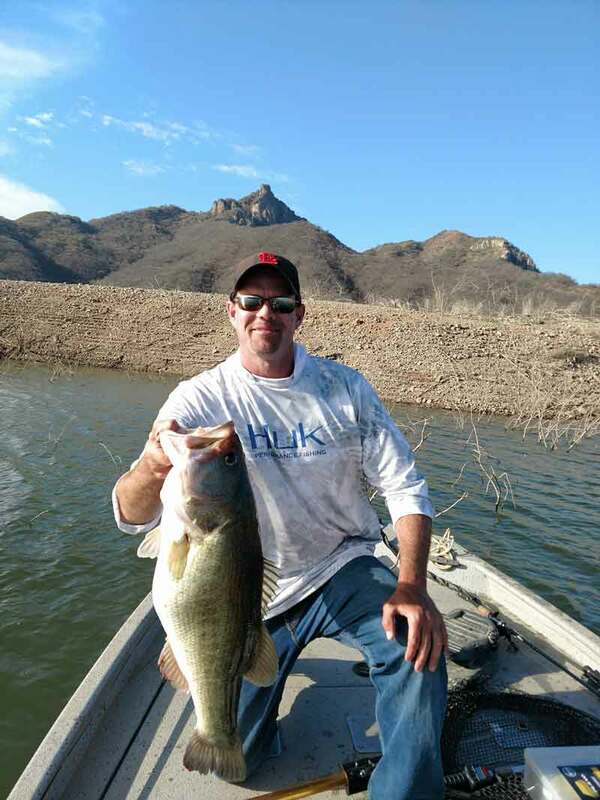 Mexico bass lakes that are full of bass provide this opportunity. Lake Picachos is IDEAL to take a young one to for fishing! 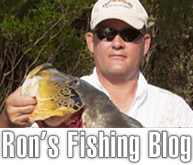 The numbers are outstanding and one does not have to be a skilled angler to catch them! Even the more novice anglers can exceed 100 bass per day, per boat, and MORE! Average to just-above-average anglers have caught up to 200 per day, per boat and MORE! Then we’re talking just the overall experience of visiting Mexico! 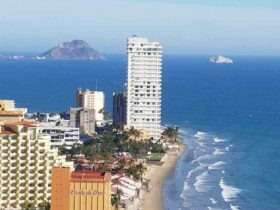 Our gateway city for accessing our 3 lakes/lodges is the beautiful beach resort city of Mazatlan! 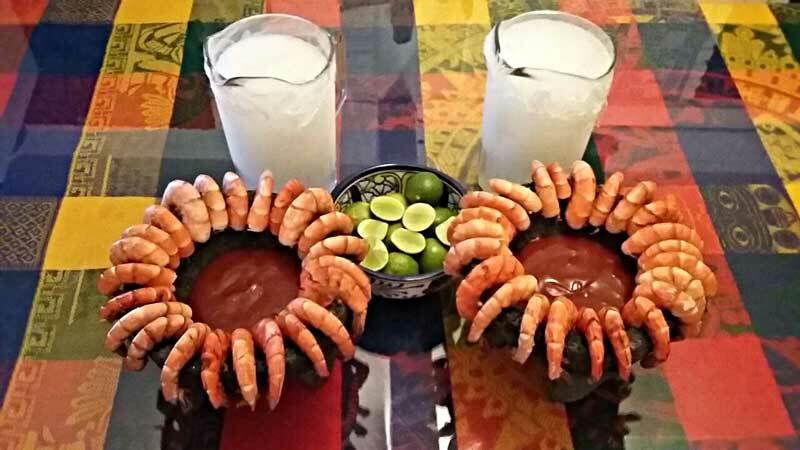 This offers you the opportunity to piece together a great fishing experience at one of our lakes PLUS have your loved ones also experience the “surf and turf” first class beach action that Mazatlan offers. 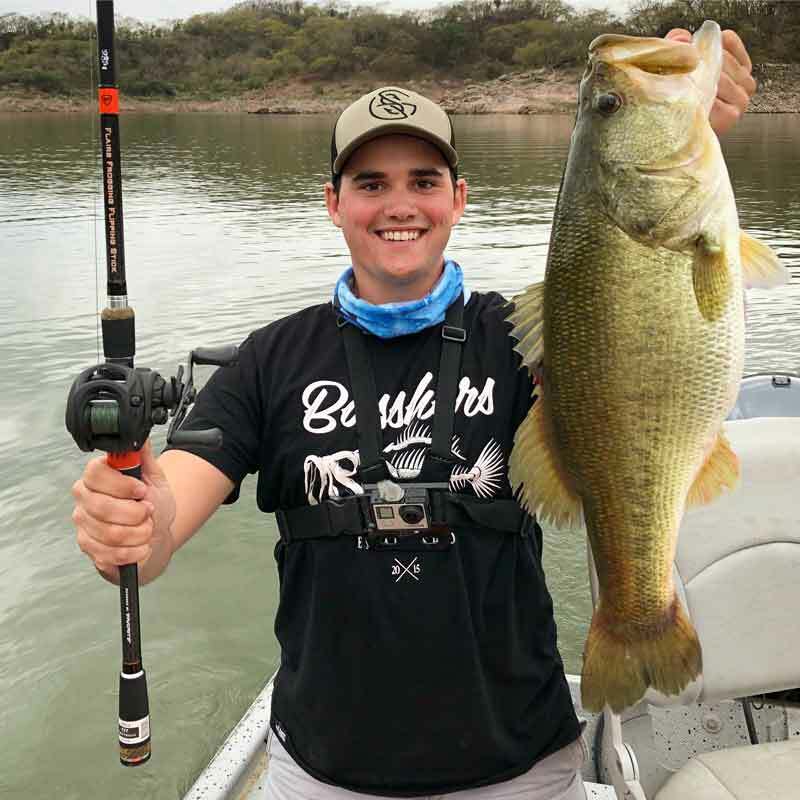 Also, if bass fishing at one of our lakes hasn’t completely filled your appetite for fishing, we can arrange a day or two (or more) of first class saltwater fishing out of Mazatlan! 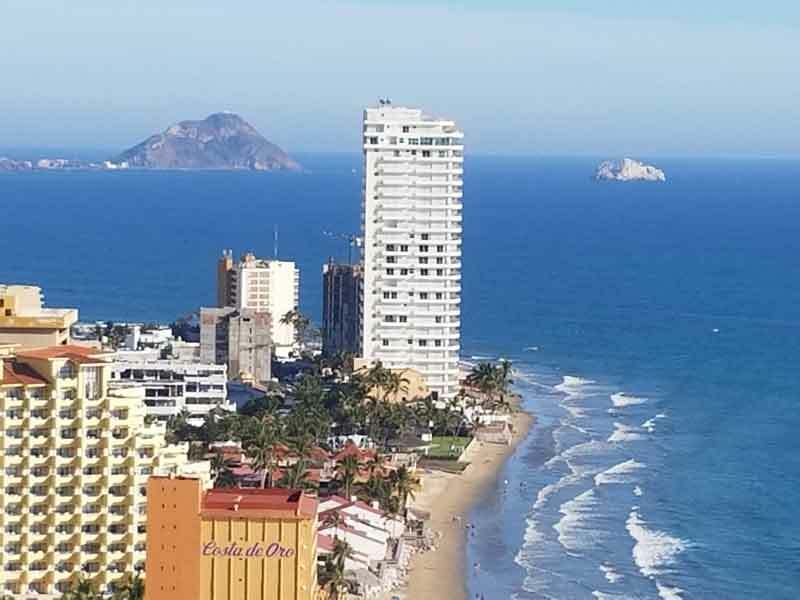 The city of Mazatlan offers so much for the tourist and women and children absolutely love it! I have many customers that bring their families to our lakes and spend extra time in Mazatlan. So if you think this will be a great gift to provide one of your loved ones for Christmas, give us a call and we’ll send you out a special gift certificate to put “under the tree” at Christmas! 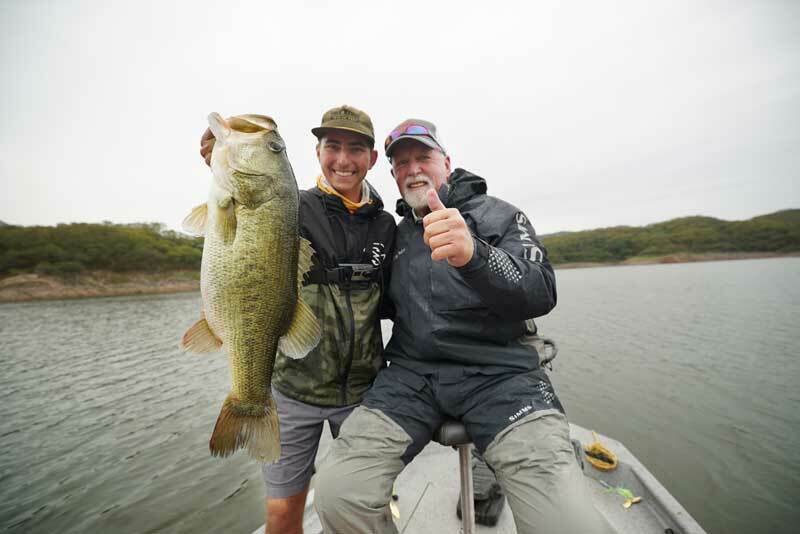 You can’t give a better gift or experience of a lifetime than fishing at one of our 3 lake locations in Mexico. And you will certainly not find a better price deal than the one we’re offering for this Spring Break and Summer Vacation time periods! Call us TODAY before time runs out!!! Our Fall 2018/Winter-Spring 2019 Mexico bass fishing season is off and rolling! Are you getting your fill of hunting? Have you harvested that “Muy Grande” yet? If not, need to git ‘er done soon because it’s about to be PRIME TIME for those big bass toads in Mexico! 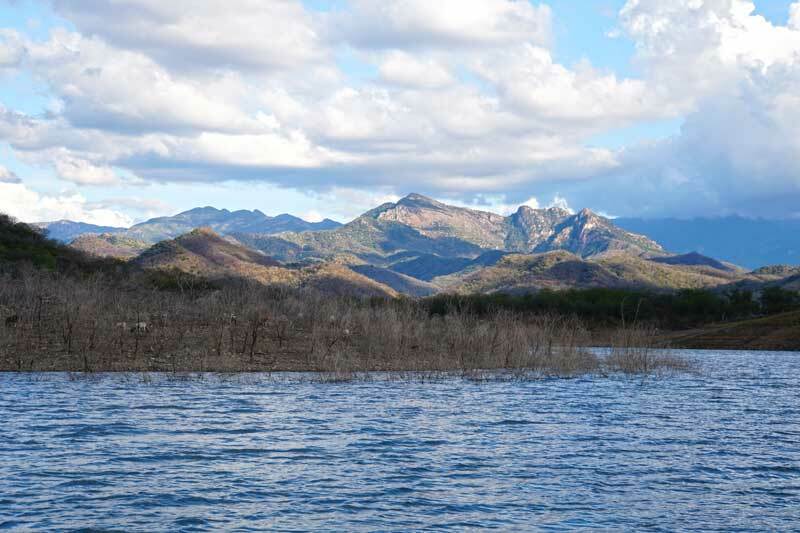 The lakes appear to be in good shape with Picachos catching full of water back in August, El Salto leveled off at around 68 – 70 % and Comedero topped out at 75% by the end of October! This almost ensures that water levels will be conducive for good-to-great fishing all season! 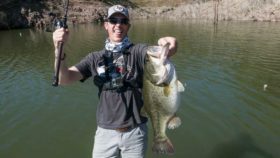 Always coming out of the monsoon season the water temperatures on the surface will be on the hot side and bass, particularly the larger bass, will remain in the deeper cooler depths. However, like clockwork for the areas of our 3 lakes/lodges, the nights generally start cooling off in November. Sometimes that is early November, and in some years that is middle till late November. Either way, it’s NOVEMBER. When this happens, the water temps on the surface begin to cool and it doesn’t take long after that to see large concentrations of bait fish and bass move to shallower water….which means? TOPWATER EXPLOSIONS!!! It’s starting NOW, folks! Get there!!! 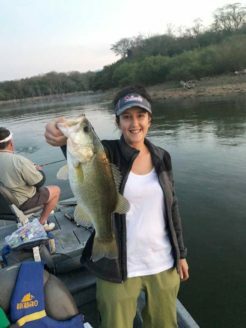 Quick Update on Fishing at Comedero, El Salto, and Picachos…. We have our first groups of the season at Comedero this week. Therefore there is nothing “at this time” to report. We’ll have an update in another week or two after the first groups return home. El Salto started off slow in November due to the extremely warm water on the surface from the late monsoon rains (tropical storms and hurricanes) dumping warm water into the lake near the end of October. The nights have started to cool and so have the water temps. You add that the lake was rising very rapidly as recently as late October and that had an adverse effect on the fishing as well. However, we’ve seen in the past week the numbers picking up and it won’t be long until the size improves as well. We will keep you posted and have a new update soon. Picachos… well, it’s on fire! Shocker, eh? The reason the late rains did not impact it as much as El Salto is that the lake had already been full since early August and therefore not much of a “rise” during November, and certainly not enough rising water to impact the fishing in an adverse manner. Most boats this month have been averaging 125 – 150 bass per day! The size is solid with some bass landed in the 8 and 9 lbs range. Again, we’ll update you on all three lakes in a couple of more weeks. Just know that the season is just now getting underway and when late November and early December arrive, so do the cooler nights, cooler water temps and bass transitioning at a rapid pace toward the shallows….IT’S ABOUT TO GET SILLY GREAT!